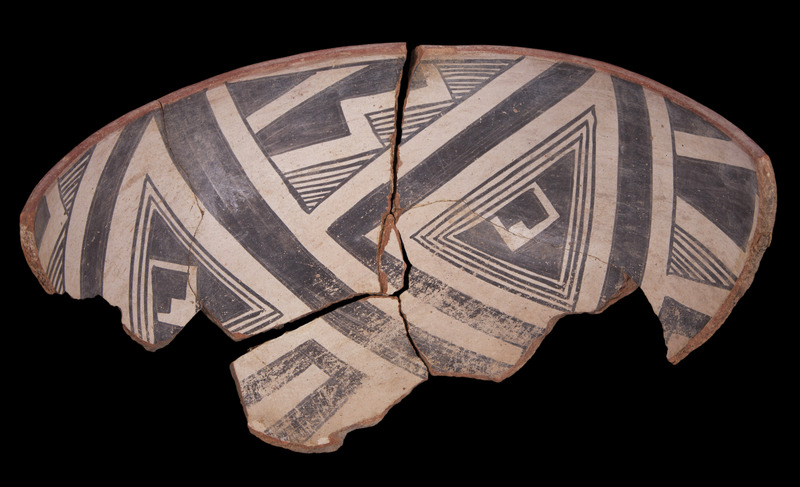 Pinto Polychrome bowl fragment. Click the image to open the Pinto Polychrome gallery. Pinto Polychrome is the earliest type of polychrome Roosevelt Red Ware. 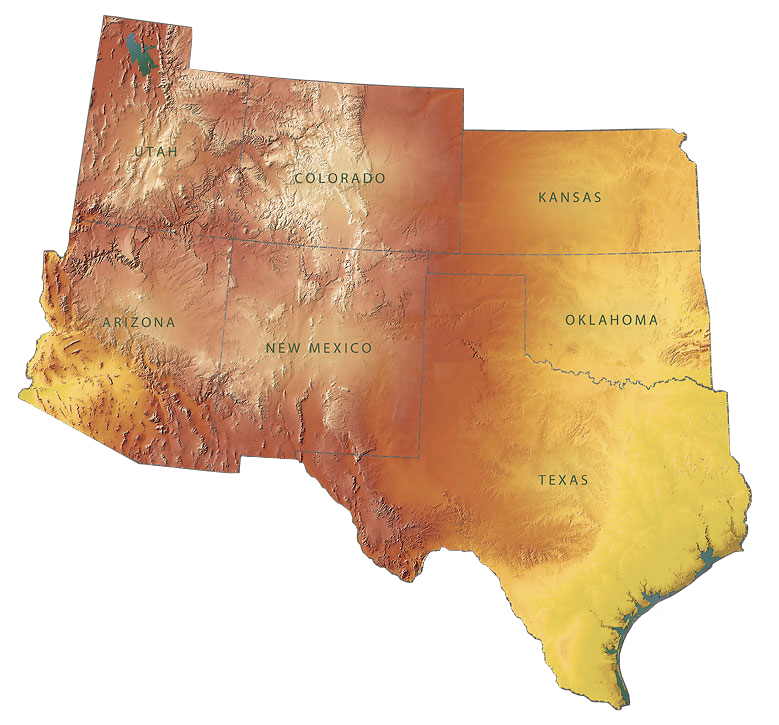 This type is found along the Mogollon Rim, in the Tonto Basin, the Sierra Ancha, the Globe Highlands, the San Pedro Valley, the Point of Pines area, the Kinishba area, and in the Upper Gila Valley, Arizona. Surface Finish: Exteriors slipped red; interiors slipped white. Surface Color: Exterior: red; interior: white. Paint: Black on white or red slip. Design: Bowls only; interior: black paint on red slip (lacks wide, black banding line at rim), exterior: slipped red; opposite hatched and solid shapes; geometric lines, curves, and rectangles; interior design full, occasionally banded, or radial, sometimes with a blank circle or square at the bottom (occasionally red, but usually white). Variants: Pinto Black-on-red: same as Pinto Polychrome, but without the white design fields. Comparisons: Gila Polychrome has an interior banding line (broad, black) just below rim and is dominated by bold solids. Cliff Polychrome has a banding line and upper design field, and is generally in the recurved bowl form, which is rare in Pinto Polychrome. Lyons, Patrick D. (2004) Cliff Polychrome. Neuzil, Anna A., and Patrick D. Lyons. (2005) An Analysis of Whole Vessels from the Mills Collection Curated at Eastern Arizona College, Thatcher, Arizona. Technical Report No. 2005-001. Center for Desert Archaeology, Tucson.